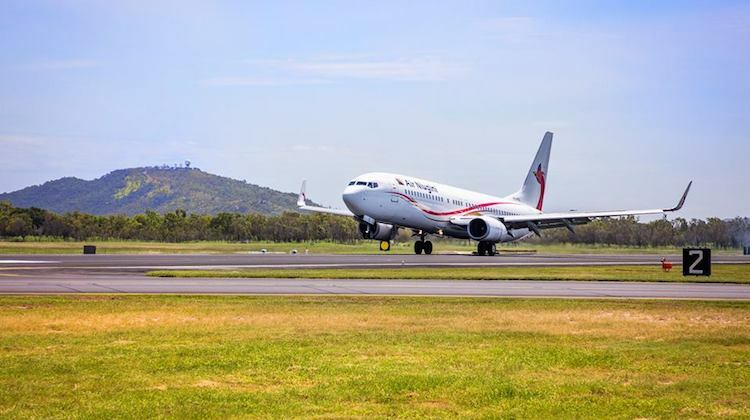 Air Niugini says the loss of a codeshare agreement with Qantas is behind the decision to end Port Moresby-Townsville flights and reduce services to Sydney. The airline announced on Friday it will drop nonstop services to Townsville service and cut Sydney from three to two flights a week from October 1. 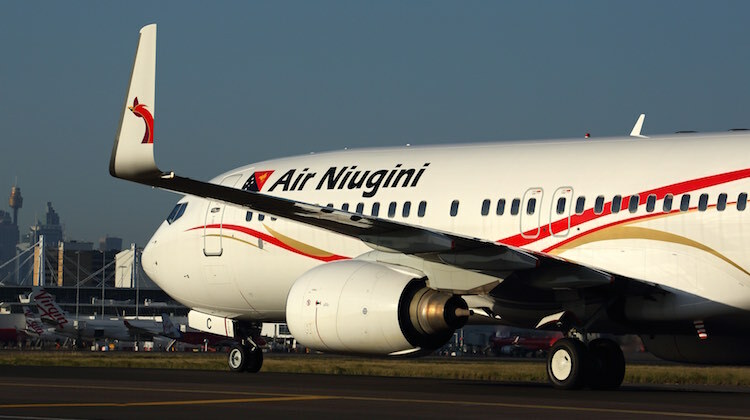 Air Niugini acting chief executive Tahawar Durrani said the recent ruling from the Australian International Air Services Commission (IASC) was behind the changes to its Australia network. “The decision by the Australian Government regulator, the International Air Services Commission, to disapprove the Qantas application to code share on Air Niugini’s innovative direct services to Townsville and Sydney, thereby denying customers a choice of marketing airline on these developmental and marginal flights, is one factor in the airline’s decision to suspend services to Townsville, and reduce Sydney flights to twice weekly,” Durrani said in a statement on August 16. In February, Qantas applied to the IASC to continue an existing codeshare agreement with Air Niugini where the two carriers codeshare on the Sydney-Port Moresby route (operated by Air Niugini) and the Brisbane-Port Moresby route (operated by both Qantas and Air Niugini). The application also requested approval to add Qantas’s QF code on Air Niugini’s nonstop Cairns-Port Moresby and Townsville-Port Moresby services. However, the IASC said in a draft ruling in early May it proposed to reject the airline’s application after considering it “would not be of benefit to the public”. Qantas withdrew its application for the expanded codeshare in response to the IASC decision. Air Niugini began twice weekly nonstop flights from its Port Moresby hub to Townsville in April 2017. While the inaugural flight was operated with Boeing 737-800, Air Niugini has been serving Townsville with 80-seat Fokker 70 equipment. Chief analyst at aviation thinktank CAPA – Centre for Aviation Brendan Sobie said a Qantas codeshare may not have been enough to sustain the Townsville flights, which has achieved load factors of less than 50 per cent since commencing. Sobie also questioned the IASC decision to knock back the proposed expanded codeshare. 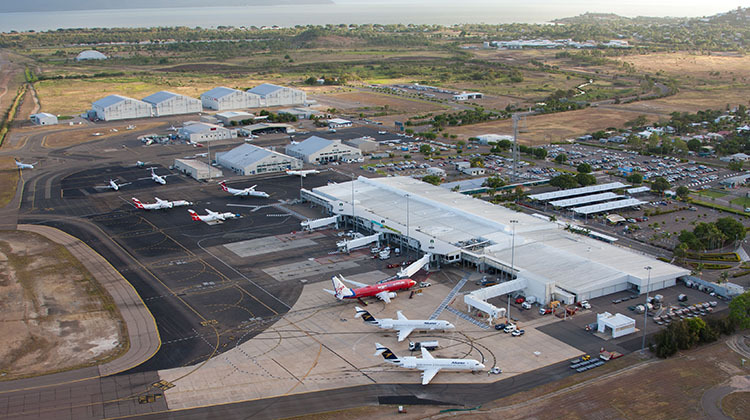 “The Townsville market is small and has a limited Qantas presence,” Sobie told Australian Aviation. “Qantas would not likely have sold a significant number of Townsville-Port Moresby tickets and provided enough additional passengers to make the route viable. “However, Air Niugini and Townsville Airport were understandably disappointed by the IASC decision. Air Niugini’s Port Moresby flight was Townsville Airport’s only international route. Jetstar ended its flights to Bali in March. That means Townsville Airport will be without any international flights from October, the same position as it was in three years ago. “Townsville will obviously be keen to fill the void in the international market left by Jetstar and now Air Niugini,” Sobie said. “While it will be difficult to attract another airline to serve Port Moresby, Townsville could potentially attract another airline for Bali given the route’s relatively decent performance. An aerial shot of Townsville Airport. 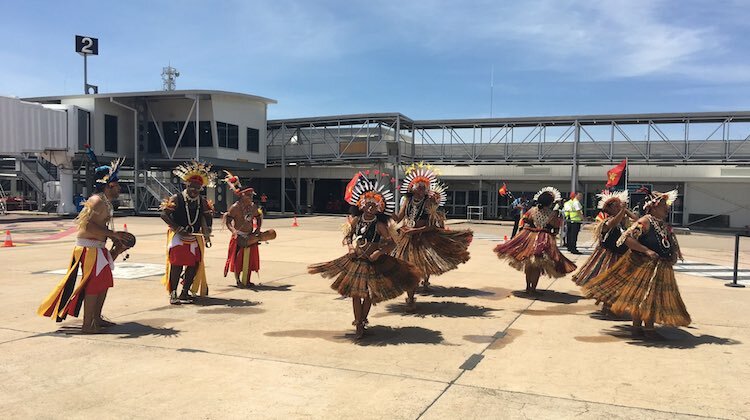 In addition to changes to Townsville and Sydney, Air Niugini also announced service reductions to Nadi, Port Vila and Tokyo Narita, as well as the end of flights to Bali. It said these reductions and suspensions of international routes would be reviewed in 2019. “The above changes mean Air Niugini can redirect aircraft resources, and especially crew, onto our core domestic network,” Durrani said. “This necessary review forms a key part of adjusting our business model because as demand and global conditions change, we must be prepared embrace these changes and make sometimes difficult decisions to adapt our business as well. This really isn’t only about the codeshare, to be realistic, truthful and expansive the reality is Townsville is and has been in recession for years, even the short JQ foray into TVL-DPS didn’t last. What good is a codeshare approval to drastically unbalance other routes, sounds like a trogon horse. They also fly out of Cairns only a short (albeit very expensive) flight away. There was probably never the demand in the first place to have so many flights in the region. You would have thought that they would have been keen to build the TSV-POM route by allowing the codeshare. Can’t see Virgin wanting to have jumped on it straight away anyway. And if they did it would be with Alliance F100’s anyway. Why not build the route and worry about competition once it’s established. I think there may not be much thought as to the local FNQ economy and the results once these routes are pulled. It’s not just about the constant punch on with QF/VA. No surprise, while it is all good and well to want International services from smaller markets they really are not sustainable as year round routes .I highly doubt they or other cities with similar sizes will attract anything other then seasonal or charter operations. What about the people who brought return ticket to go back in November are the airline going contact them and give them refund or another ticket to another airline ? Townsville International Airport without any international air services. as well as the closure of many other businesses, large and small. Air services might be reinstated. I agree with Justine and the truth of the matter is. It’s all about money and promoting Brisbane.I thought that Townsville was the Gateway to go to Port Moresby and now you have to go via Brisbane at almost double the cost and a long wait between flights. or you have to search and search and you may find a flight via Cairns at a cost of hundreds of dollars extra MONEY MONEY MONEY. this is what it’s all about. And this is all about making profits for bigger Airlines and Not about the humble paying costumers.